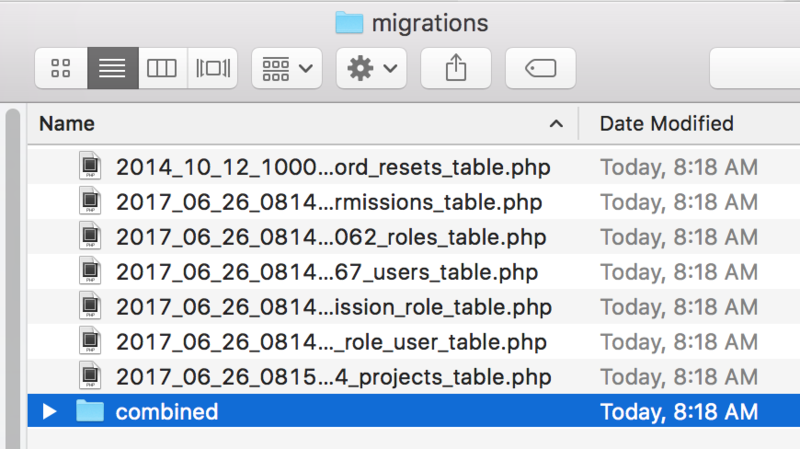 As you can see, one migration file for each operation. In other words, if you add, modify and then finally delete the same column – you will have separate migrations for it. It may become quite messy. Now, Agency plan customers will have a new separate folder – after downloading the panel, you have not only regular database/migrations, but also a new database/migrations/combined, which will contain only the migrations needed from scratch – to achieve the final result. So no mention of that field being added or removed. In other words, you have a separate folder of migrations which you may want to use. We hope that this change will help you to keep your projects a little cleaner.